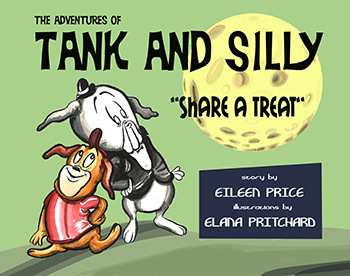 The first book in the series, Tank and Silly Share A Treat will delight the young ones with its magical illustrations. Parents and teachers alike will enjoy the story and the lesson brought to light – sharing. . Nominated for the 2013 Moonbeam Children’s Book Award, Tank and Silly Share a Treat is sure to be a welcome gift for years to come. * Perfect for parents, teachers, grandparents, babysitters, and all manner of care givers. 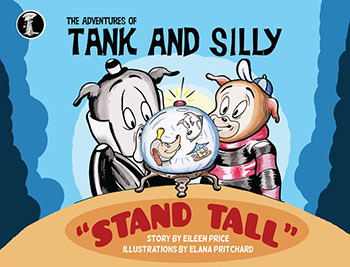 Tank and Silly Stand Tall is the second offering in this series. Together, these two best friends discover an enchanted forest, make friends with a stranger from the past and learn a very valuable truth…one that inspires a Silly song. What is their secret to facing the dreaded bully, Bricker? You’re invited to a grand birthday celebration at Watkins Corner! 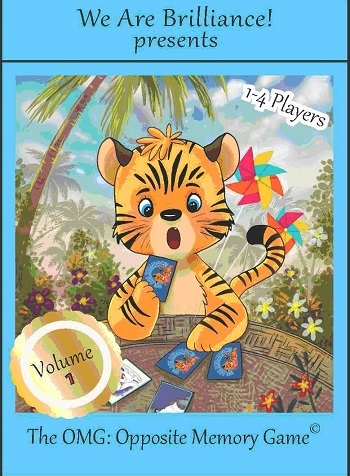 Join Libby and her favorite puppy pals as they play games and have a fabulous time! But wait … what happens when the treats are gone, the presents are unwrapped, and the sun finally says goodnight? Get ready for an adventure! 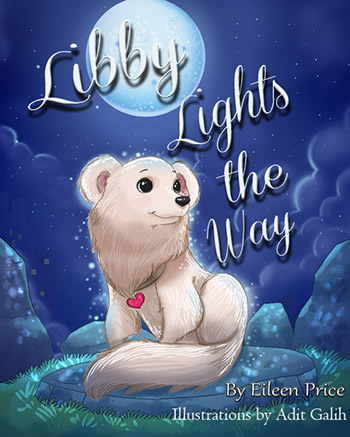 With brilliant illustrations and a tear-out coloring page, you’ll discover sparkling surprises in this delightful, heartwarming tale where Libby lights the way! * Perfect for parents, teachers, grandparents, babysitters, and all care givers. 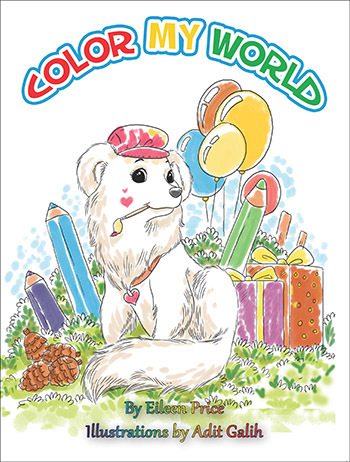 Color My World invites both children and adults to spend time together coloring these wonderful high quality illustrations. Based on the delightful characters from the book Libby Lights the Way, relax and enjoy these 21 charming coloring pages. Use your crayons, markers, colored pencils, or any combination that suites your mood. Brilliantly colored illustrations adorn the inside covers of this book as an added bonus. Do you sometimes need an icebreaker for parties, family get-togethers, holiday meetings and social occasions? Are you planning activities for a small group of unfamiliar faces? Here is a simple and fun way to warm things up and a great way to get to know friends and family. A collection of questions is listed on the ever so delightfully illustrated playing cards. The questions are asked in a round robin fashion, back and forth, for as long as feels right. Or, play it as a timed activity – a two-minute drill. Included in the pack are 36 playing cards which ask the question “What (or who) is your favorite _____ ? Two bonus collectable cards included. Discover the wonder and magic that transport Tank and Silly to a remarkable new land. Here, the make new friends and encounter secrets beyond their wildest dreams. When promises are broken and secrets are revealed, the two pups are sent on an adventure like no other. What is this adventure that helps them to see the light? 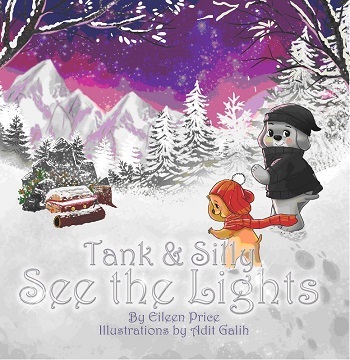 This is the third in The Adventures of Tank and Silly book series written by Eileen Price – and it is sure to become a holiday classic. 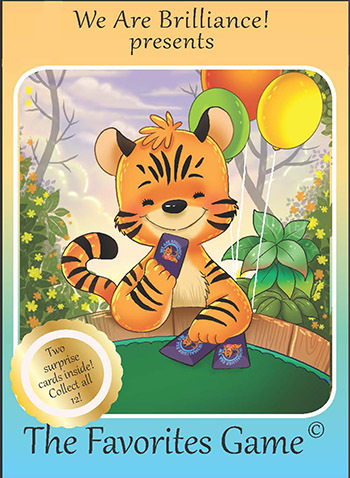 Each pack includes 8 delightful picture cards and 32 brightly colored word cards with easy and medium level words. It’s like magic in a box! Hours of challenging fun for all ages. Play it at home, at school, on a plane, on vacation, and even in the car (see the instruction cards for variations). Wait, what? 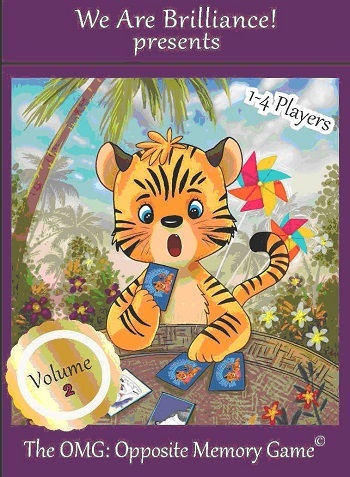 Another play is like GO FISH! Deal the cards and ask for your opposite card. Whoever collects the most pairs, wins that round.